Wed. June 28, 2017 …..the season of 18 to 20hr days has been on….this time of the year can be our busiest. The days are longer, there are a lot of fishing options, and usually folks have time off to fish. We’ve been really busy the past few weeks, and I have gotten behind with reports because of it. Not enough hours in a day on somedays to get everything done. It didn’t help that during one of my recent several day stints on the tailwaters I was up early one morning doing the fishing report and tipped over a cup of water right onto my laptop keyboard. It took a couple days for it to come on and power up and run again, but miraculously it did. So here goes…. On June 17 I guided Dr. Jim Kramer, Greensboro, NC, on the TN South Holston….we got an early start and we went with the intention of doing some wading then floating in the pm…we did wade early and did pretty well doing my favorite thing which is stalking skinny water browns /sippers. We spent the morning stalking browns and had a ball, as sight fishing is one of my favorite things to do. Summertime mornings are tailor made for that…..and there’s no better place than the Soho. We got in one stretch and waded along slowly and stealthily and would sight a fish, cast to them, see them eat the fly, and got ’em. Did well using one of my favorite dry dropper setups with three flies. Casts well, drifts well, and well, the results…it gets them. Have been doing well on some new midge patterns and a new split case sulphur pattern I have been tying and the fish , especially the browns, love them. We caught a good many fish, all browns in the morning and then midday happened upon a flat with some sippers. It had begun to drizzle as a storm had been building on the horizon. Blue wings started to hatch and we switched to one of my new bwo dries and Jim promptly nailed several sippers I pointed out to him. Watch the fish, read the drift, make a presentation….got ’em. Rinse and repeat. It was like that, both fun to do and fun to watch. About 245pm we got out and had a streamside lunch and were going to go upriver and do a late afternoon and evening float. Just as we arrived to the ramp a heavy thunderstorm dropped its wares and we were in an unbelievable downpour. We sat there for a half hour and when the storm showed little movement and didn’t appear to be going anywhere we decided based upon that and its track that we would go back downriver and just wade fish. I texted my shuttle guy and let him know we’d not be floating. So we headed down and caught another fish or two on dries, then decided to go way down river to Bluff City and do some nymphing. That would prove to be a good move, as we nymphed up probably a dozen nice fish, and many that were hooked briefly and got off —- some reel blistering rainbows and browns, including several nice fish that we neither saw nor brought to net. It was , quite simply, a pretty good phenomenal end to the day. It was great. We finally quit about 8:00 and called it a day. Getting into fish, getting wet, but having a great day….that seems to be the ongoing storyline. On June 19, I guided Bob Stanford, David Slaydon, Greensboro, NC, on the TN Tailwaters, met David and Bob in Elizabethton and we made the short jaunt over to the river. Met late morning and planned on putting in around 1030/11am and did a 6.5 mile float. Weather was sunny and hot /muggy to start, and we caught some nymphing right off, David I think scored the first fish, we worked our way down to a midriver bar and saw some risers. Bob nailed the first and second ones there, both rainbows. We fished our way down one bank and caught a few then headed downstream to an area that has been good lately. It got really dark and started to rain, and what began as a moderate rain quickly became a torrential downpour. The forecast was for bad storms and while we got tons of rain no bad or severe weather. Rained a ton. We then got an incredible sulphur hatch and fished to rising fish for several hours, and caught some nice browns on dries. Broke a good many off as well, it was hard to keep the flies afloat it was so wet. You could dust your dry with Frogs Fanny powder and it was good for a few minutes but would quickly get waterlogged and need retreatment. Fish were rising bank to bank and we did pretty well. Eventually the hatch fizzled a bit and we headed downriver. Got several more good fish on wets/soft hackles before it got so foggy we headed to takeout making it there just about dusk. Good day, lots of fun, even though it rained yet again…. On June 20, I guided Dr Pat Burney, and Dr Ken Karb, Greensboro, NC, on the TN South Holston. We did a half day wade and half day float, did great in the morning wade fishing with lots of fish caught nymphing and then a little bit of a morning sulphur hatch and caught some on dries before the water came up. It was great, and the best fishing of the day. Today was the first day I can remember in so long that it didn’t rain. There have only been a couple of days /trips like that the past two months it has rained that much. Pretty incredible. We caught a mix of rainbows and browns but the better fish were browns….and caught them on the surface. It was a great morning. About midday we got out of the river and headed up river for a short float….it would be very short as the guys had to be off the water by 3/3:30. So we just hit a couple of spots. Swinging flies worked best as the hatch had not yet gotten going. Had them back to the ramp a little after 330pm and got a text from several folks (anglers and guides) indicating a blanket hatch up top on the upper river. We should have stayed later but maybe next time. Great day anyway. On June 22, I guided Brian Fitzgerald, and Dr Mike Lanning, Thomasville, NC, on the TN tailwaters. We had another day of heavy downpours, all day rain ahead of Tropical Storm Cindy, man was it wet. An abbreviated report both pics and report as the rain was so intense at times it was hard to get pics….and I got in pretty late as well. We did pretty well nymph fishing drop shot rigs to start, then as fish started to rise we transitioned to dry flies and did quite well, scoring a good many fish on dries. Mike put an 18-19″ brown in the boat, a fine fish and a tough one to land on 6X on high water. We fished through several pods of fish, they were tougher than in days past, but got on one pod at the end that Brian worked over pretty good nailing several nice fish out of it. Great day , even if it was wet….. some time soon all this rain is going to come to an end and we’ll go to the other extreme….dry as a bone! Always seems to be that way anyway. On June 23, I guided a father and son trip….. David & Davis Dow, Greensboro, NC, on both TN tailwaters, we did a 1/2 day wade on the Watauga to start, and caught probably 15 fish, mostly browns with Davis, David’s 13yr old son nailing the best one, a brown of about 14 inches. We had a nice lunch streamside about 1pm, then headed over to the South Holston for a 1/2 day float to take in the sulphur hatch. The weather was better, and surprisingly we missed some of the heavy rain, and caught a break from the heavy rain overnight and the heavy rain that was to return after we finished. We had a great hatch, and had a blast casting to rising fish. Davis caught his first wild, rising, dry fly browns, and we did pretty good on some tough fish. Ironically, we did best on the toughest spots….not what I would have guessed. But that is the way it went. On June 24 I had scheduled a guided trip with a longtime client and WFU professor Sandeep Mazumder, Winston-Salem, NC, a group trip and we postponed and rescheduled for fall as high muddy conditions where we were going due to continued storms/heavy rain. Many areas missed the brunt of Tropical Storm Cindy’s remnants, but not all places. It was possible to have heavy rain in one county and absolutely nothing in another. But it did go where we had planned to do our trip. On Monday June 26 I guided Brian & John Pratt, Burlington, NC. We spent the entire day on the South Holston, and did a half day wade and half day float and had a great day, nailing about 30 to 40 fish early wade fishing. Caught fish on midges, bwos, and sulphurs, the fish were on the munch enjoying some low flows for a change. One thing is sure, the fish are fat and healthy after all the high flows of spring and early summer so far. Often you’ll hear “I hope all this high water doesn’t bother the fishing…or mess some things up…”. Friend, never believe that. They eat often and well when its high, and the fish right now we are catching are obviously eating very well. Some of the smaller fish are like footballs….an eight to 10 inch fish with a gut. We fished some til about 120pm and then stopped for a lunch break. We went up river and floated the upper Soho and the hatch finally came about 3 or 330pm and it was good for about 3 hours. We fished to rising fish for that time and caught a good many browns and rainbows, and put a great exclamation point on a near perfect day. 70sF, light wind, partly sunny, and zero humidity all while surrounded by rising brown trout eating our dry flies. Perfect as it gets. A 50 fish plus day in near perfect weather. We fished down through an area I like this time of year and then floated to takeout. Great to be able to do fishing reports again here after the laptop survived a large cup of water turning over on it. Have spent the rest of the week celebrating my anniversary with my wonderful wife Kathy, and also beginning working on the final stuff with my folks’ estate as far as moving a bunch of stuff, doing some repair work, preparing some stuff for auction and getting a house ready to sell. Some trips coming up later in the week and also the coming weeks will go back to really busy. Summers going to be gone before we know it. Thurs. June 16, 2017 ….. Looks like the season of 18hr plus days continues…. Usually the whole year can be pretty busy but the period from April through August takes that to a whole new level. Our website and fishing report audience has grown exponentially and things have been beyond busy since mid April. We had all the wet weather, and kept fishing through it all, jumping from one water to the next and to different sections of rivers to stay in clear water and decent fishing. The past few weeks its been out early, because you never know if and when thunderstorms will impact the fishing time. You get out early in hopes of getting a good day on the record before the afternoon heat and possibly storms come. We fish around weather….I never cancel because of storms because if I did I’d have to take the summer off. Its just part of the normal day to day thing. But the season of long days continues…..always a rub to keep up with messages and emails and website updates and such. Just never enough time it seems to keep up. Guess its a good thing, but I do get behind and play catch up the rest of the summer. ..had a good morning of fishing sippers, sulphurs and beetles and did a midday to early evening float. About 8 nice fish in the morning including several browns in the 18″ class . Did some nymphing also, and put a few in the boat nymph fishing using tunghead TN nymph and my own rendition of the split case nymph, tied a bit differently than most tie. We began to see a few rising fish around 145pm, then a few more, but fewer rising fish than last few days. The upper river hatch should start intensifying now that we are into the summertime muggy and hot weather, of course thunderstorms are part of that too, something we wouldn’t be denied the enjoyment of today. We didn’t find big pods of fish rising so we targeted singles along the bank ….its my favorite game because its like hunting. We did well, scoring about 25 fish or so doing this, and most of them nice browns. Its pretty neat as well because some of the fish are in really tight spots, along banks, under overhangs……places most folks/boats pass right by. But we did really well….pick a fish, dust the fly with Frogs Fanny, then cover the fish with a drift…..done. It was great, we had about 3 hours in the afternoon of solid dry fly fishing. Then we had a thunderstorm and it was pretty windy, things were winding down anyway so after the rain stopped we floated on to our takeout. Good day though, a a nice rain to wash all the salt and sweat off…lol. I have a guided trip tomorrow with longtime client Dr Jim Kramer and we’ll probably do the tailwaters as well. Another busy week coming up next week with five trips scheduled. Will be a real challenge as we are in the process of settling my mom’s estate and will be doing some work relative to that the other two days. Wed. June 14, 2017 Great day yesterday doing a half n half trip, that is a half day wade trip in the morning followed by an afternoon high water float. Guided Jeff and Lin Ingram and we had a great morning netting over 30 fish on nymphs and then caught a bunch on dries. We had lunch and then did a half day float on the upper South Holston and whacked ’em again putting probably 20-25 more in the net. Great day, we narrowly missed a big thunderstorm as we rowed to take out. We are into that season and kind of weather so all is normal on that front. Doing a trip with frequent client Ted Linczak today, an afternoon float hoping to get in on more dry fly fishing. Sat. June 10, 2017 ……What a way to end the week, did a trip with a longtime friend and client Wayne Johnson, Atlanta, GA, who I taught to fly fish over a decade ago. Since that time he has traveled the world fly fishing all over so this was sort of a reunion trip. I had not fished with Wayne in almost 4 years, as work, and moving and other stuff took him all over the past few years. I met Wayne late morning and we did the upper river float on the South Holston. We caught a few fish nymphing drop shot rigs, then a few swinging wet flies, then we started to fish dries as the bugs came off. Hatch was good but not as heavy as yesterday, but that is normal, it will be heavy some days light others but there were plenty of fish rising to be had. We nailed several nice fish on dries, including a 19″ brown and a 22.5″ brown, both on one of my sulphur emergers, plus a number of other quality fish. We moved downriver, nailing risers from pods of fish we saw rising. It was great, Wayne had a banner day, it was epic. One of the better quantity and quality fish days I have had. We caught fish all the way downriver. Fished to one last pod of risers on a bank that hardly ever get fished to, a very difficult spot to fish but Wayne nailed several nice fish there, all browns, and had one fish on that was in the 23 to 25″ range that he played marvelously but the fish got into some grass and broke off after a 3 or 4 minute fight. 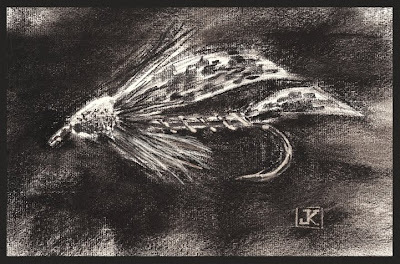 After it broke off, the fish surface and jumped upriver 15 feet upriver and it was a two footer with a big kype (hooked jaw), one of those yellow and orange colored up buttery browns…..uggghhhh…..we were both speechless…and heartbroken. It was getting late so we ended on that last fish and headed to our takeout. July is going to be epic, now is the time to reserve a date if you want in on it…..as I am getting calls and bookings daily and it should fill up soon. Sat. June 10, 2017 ….Its been a great week, and I have not stopped for the most part, doing trips Tuesday through today Saturday June 10, and a total of about 42 miles of floating. Its been a great week, the warmwater fishing has been great and the tailwaters South Holston and Watauga have been lights out. Some of the best fishing in a long time with big hatches and rising fish. On Wednesday and Thursday I did two days of guided trips with two clients I take a lot… Ted Linczak, Summerville, SC, and Tony Makris, Columbus, OH. We fished both the South Holston and Watauga and fishing was excellent. On Wednesday we fished the South Holston, floated the entire river ….14.5 miles. Did an 8 mile streamer float to start, and nailed some nice browns doing that, then headed upstream to catch the sulphur hatch. Great hatch caught a ton of fish on dry flies. A ton…. On Thursday we fished the first half day on the Watauga, and it was good also. Caught about 3 dozen browns and rainbows, lots on midges early then some on dry flies. We left the Taug’ about 1pm and headed back over to the South Holston to hopefully catch the sulphur hatch. It was epic. Blanket hatch, we fished to rising fish for 4 solid hours. Lost count of the fish caught…..it was outstanding. Fished the last two hours streamers and caught some more good browns doing it. Great two days…… fishing on both rivers on fire….. We did the usual either float the mornings throwing meat or fishing low water with midges, both of which are release schedule dependent. The high water afternoons are when the big hatches have come….summer is here folks. And its going to be good. On Friday I did a guided float trip with James Brewer, Biscoe, NC, and Dan Rominger, Belews Creek, NC, and we floated the South Holston. I met James and Dan around 845am and we were off, ran down to the put in and floated the upper river and caught several fish swinging wet flies/soft hackles. We caught a lot of fish doing that, which works pre hatch and all during the sulphur emergence. Sometimes it works when other things aren’t working. It worked great today. We then floated falling water down to a favorite pool where we fished low water from the boat and had a great flurry of fishing, putting probably 40 to 50 fish in the net there, as we caught them on long skinny leaders, small flies….did very well on midges and split case nymphs. Sight fishing was epic, we had shots at good fish all day long and caught plenty. …and then the sulphurs came. Great hatch, nailed a bunch of rising fish on dries….heaviest hatch so far this year I’ve fished or guided. It was great, at many times there were bank to bank risers. Pick a fish and work him. If you didn’t get him on the first drift the second or third time was the charm. It was great, sure redemption for the last’s months crazy and difficult weather patterns. How sweet it was, and continues to be. The rest of the summer is going to be epic if its like this now. We fished til about 7pm and then floated to take out. I rowed through the last mile and a half to the ramp as the guys needed to hit the road for home. The hatch was so good we had stayed well beyond what they intended already. Good stuff, …”honey I’m going to be really late.” It was one of those days. Have another trip leaving out this morning, and will be guiding Wayne Johnson, Atlanta, GA. I have fished with Wayne quite a bit over the past 10 years. We are starting late morning as the release schedule is on at 8am. We will likely put in just after 10am. Should be a great day….Wayne is a combat Vet and will today be sniping some rising Soho browns. I expect a good day as the forecast is sun and 85F….that is near perfect for the hatch to be great, and I’d be surprised if it isn’t. Well, time to drink this one last cup of coffee and pack things up in the boat. Game time…. Mon. June 5, 2017 – This weekend did some afternoon panfish /bass trips….. a note …June 3 marked the opening of the DH Harvest period. All DH waters opened to harvesting fish on June 3, from sun up til noon only anglers 15yrs old and were able to legally fish and harvest fish. After noon, all anglers were permitted to do so. Some streams will continue to receive periodic stockings the rest of the summer but that is dependent upon elevation. Consult the NC wildlife website here to find that information. The warmwater topwater bite at times has been as good as it gets. That is normal business for this time of year. In some respects I have experienced flurries of action that were as good as I have ever experienced. Spent a good bit of the weekend fly fishing for warmwater species and tallied over 100 bluegills, some nice bass, yellow perch, carp, etc. Spent some of that time with friend and fellow guide Tom Smith scouting some carp….a number of our local waters have them and a lot of them and they tail and eat in shallow water and offer shallow water sight fishing akin to bonefishing. Have an upcoming string of trips, all float trips, and we’ll be floating the South Holston and Watauga. Flows are coming down as the TVA has pumped tons of water in an effort to get the lakes back down to a manageable level. Fishing has improved also, and will continue to do so. Plenty of fish to be had nymphing, and afternoons have seen some dry fly action, mostly sulphurs. Have a two day trip , both floats , coming up with Ted Linczak, Summerville, SC, and Tony Makris, Columbus, OH. I’ll follow that with a Friday float with James Brewer, Biscoe, NC, and Dan Rominger, Belews Creek, NC. Will wrap up the week floating with a longtime client Wayne Johnson, Atlanta, GA. Should be a great week. Sat. June 3, 2017 …. Finally getting beyond the wet weather a bit and hitting some private with with two clients, did a guided wade fishing trip with Adam Norris and Will Johnson, Winston-Salem, NC. I met Adam and Will near the river and we suited up and headed down. Didn’t take long to get into fish, we did very well, landing some fine rainbows in the first spot we fished. Caught them nymphing, even though there were a few fish rising. They didn’t rise to dries all that well, so nymph fishing we continued with. The next spot we did similarly, caught a bunch of fish fishing nymph rigs and dry /dropper rigs. Had on one fish that would have been fish of the year, a rainbow that was double digits and was somewhere in the 26 to 30″ range. Adam played the fish for a while very well, and it made several runs and jumps, only to end up breaking the hook. Not breaking the tippet or breaking off…..breaking the hook. It was a ginormous rainbow. We fished a while longer then headed back to the truck to have lunch and then move upstream to fish some more and hit some of the small lakes/ponds on the property. We did very well there, with Adam nailing a sipper the first cast with a beetle. It was a rainbow in the 24 to 25″ range. After a spirited fight and several leaps a 5 pound plus rainbow lay in my net. After a quick photo we released the fish. We ended up catching a good many fish on terrestrials. Caught several nice rainbows, one nice brown, and also spent some time at all three of the small lakes/ponds on the property. We had shots at some brookies but that were challenging. We also fished one of the lakes and got to sight fish for cruising bass. We caught a good many bass and also some huge panfish….all of them on topwater or a dry /dropper and some on a pink squirmy which we would cast to a cruising fish and twitch the fly in front of them. We made our way back to the river and ended up nailing a lot more rainbows, including one beast of a fish that was in the 26-27″ range and probably a solid 7-8lbs. The fish ate a size 20 pheasant tail, another official 20/20 for the season….20 inch plus fish on a fly size 20 or smaller. We ended up landing a ton of fish there and two other spots. About 730pm we decided to call it a day. Excellent day of fishing, plus we got some on top. We did pretty well with terrestrials, not so much with some of the other dries that normally work. But the terrestrial bite is definitely on. And we’ll be doing a bit of this the rest of the summer. Also, have another afternoon /evening Saturday trip for bass and panfish. I do some of this during certain times of the year, and the fishing can be exceptional. One surprise for me is how many folks don’t take advantage of some of this fishing. Its one of the best ways to improve all your skills from casting to line management to everything. Even those who fly fish a lot. Missing out on it …..is a loss. Have a busy week of fishing coming up and should be a good week. We have some chances for rain on Sunday but the following week looks drier than weeks past. That should help things settle back to normal. Great End to a Busy Week…. Fri. June 2, 2017…. Great end to a busy week, topped it off yesterday with a really good bass and panfish trip on one of our local waters. We always get N epic topwater bite in May after the bass and crappie have spawned and the bluegills start doing their thing. As usual bluegills here spawn starting with the first full moon in May and spawn every full moon til September​. And so it has been on local waters. Had a great evening trip last night with about 75 large bluegills and a few largemouth bass also….one of which was 8.25lbs. The topwater bite was epic, landed the majority of fish on poppers… including the large Bass. It’s good now and should be so for weeks and months on end. Thurs. June 1, 2017 ….. Summer is almost here, in 20 days that is, and all the great fishing that comes with it. Believe it or not, as hard as it has been dealing with record rainfall this will eventually be a blessing in disguise as we’ll have better summer flows and in many respects better summer fishing. We have great summer fishing, and great variety too…one of the things I love about it….and one of the things that make it a reward for those who venture out in the warm weather. Its finally June officially and with that comes a new month and a lot of stuff that is changing. 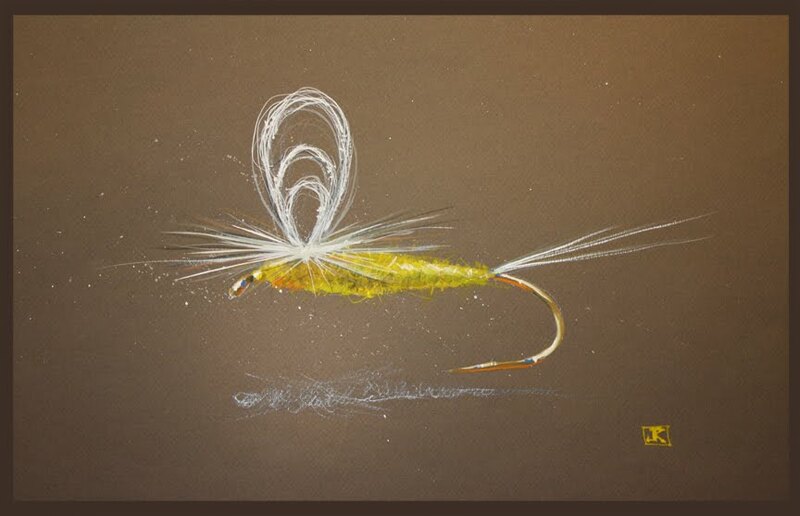 Fly patterns will change a bit with the weather, some carry over from May and others are new to the offering. We offer on our website every month on the ‘This Month’s Fly Box’ page a FREE , printable hatch chart that allows you to print an accurate chart of what bugs are hatching and what flies will match them. It is area specific…..to our area and not just a general guide. It was designed for our area. To get the FREE printable hatch chart click here . We are coming off a record wet May. May saw rainfall totals all across the area, NC Mtns, SW and Central VA, and East TN all had a record May rainfall total. Many areas set all time records for May, and a few set all time records period for any time of year. Some areas have gotten upward of 20 inches of rain over the past month to six weeks. That’s a lot of rain. As of today the TN tailwaters have been sluicing to get rid of extra water as reservoirs have remained past the desired full pool level. But things should settle down as we get into more of the afternoon,spotty, convective thunderstorm weather and less of the frontal system type of weather. The last 3 days of May my wife Kathy and I did what I never do enough of…..a prime time in the season break and mini vacation. We had stormy weather a good bit of the time including one thunderstorm that will go down as the heaviest and worst in terms of rain/wind/thunder & lightning that I can ever recall here. Friday night’s storm (5-27) we had just finished a nice dinner riverside grilling out on the deck when the storm came. We got almost 5.5 inches of rain in 3 hrs. River was as high as I ever remember seeing it. Took a few pics of tiny Beaver Creek right next to Bristol Motor Speedway and it was out of its banks. On 5-31 I had originally planned a guided float trip but TVA started sluicing overnight, up to 3200 on the Soho and 2800 on the Watauga, plus when you add the higher than normal flows from tribs there’s a lot of water right now, at least for a day or two or three. So we are rescheduling. A lot of smaller waters becoming fishable again though, and certainly some of the small, hike in, high elevation streams will be fishable as well. Saturday 6-3 is the opening of the DH Harvest, that is all DH waters the regs allow for the keeping of up to 7 fish per angler. Only anglers 15 and younger can fish and harvest fish til noon, after that all anglers can take part. For details on DH waters opening to harvest click here . Have some catch up time today in the office briefly doing some regular website updates, answering messages, you name it….the chore list that piles up while I am out so much on guide trips and which never gets quite totally finished up. Never seem to have enough time …….especially in the middle of the busy season. For Friday I have a guided Trip, Adam Norris, Will Johnson, Lewisville, NC, originally planned for floating the tailwaters, but we will be fishing the private water on Dunlap Creek in lieu of our float trip due to high sluicing flows. 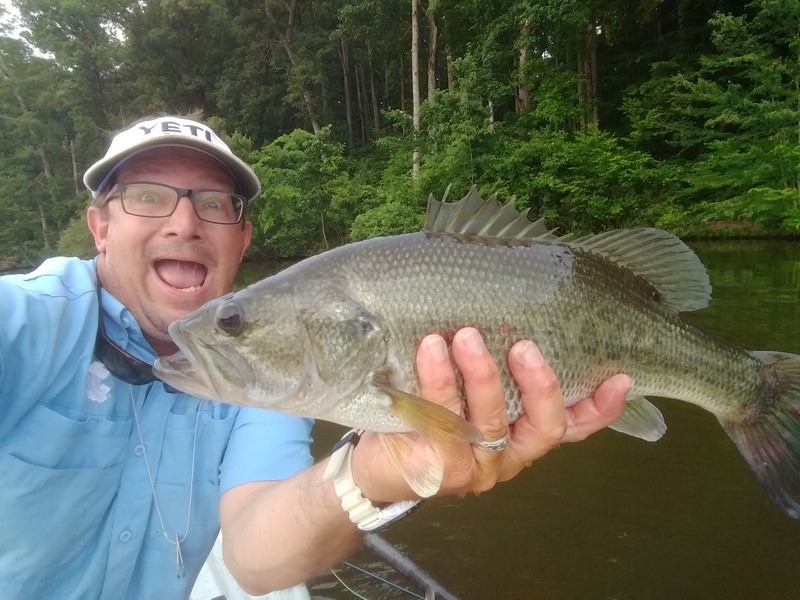 On Saturday I have a guided Trip, Amanda McFatter, Greensboro, NC….We will fish based upon current conditions and provided no rain between now and then. Booking now for remainder of summer and fall. The summer float season is underway and the fishing is going to be great. Dry fly delight….regardless of location. This is the time of year we do a ton of dry fly fishing. Small waters and tailwaters alike. Also, our smallmouth fishing is excellent. Don’t let the idea that hot weather quells fishing keep you from fishing……that’s total nonsense. Some of our best fishing , as in most years, will happen under a blistering July or August sun. Some of this is due to the fact that a lot of the smallmouth fishing we do and a great portion of the trout fishing we do are on dam regulated water….and they are not subject to the normal things heat can do to shut down fishing. If anything, it makes them all the better. And not to mention the small streams that lie under a canopy of trees and vegetation…there are tons of those. Don’t believe this? Let me prove it to you! Let’s go flyfishing!